The sheltered hillside estates in Montecito, which lies 80 miles up the coast from Los Angeles, are a haven for Hollywood stars and the super-rich who want to live in impressive isolation. 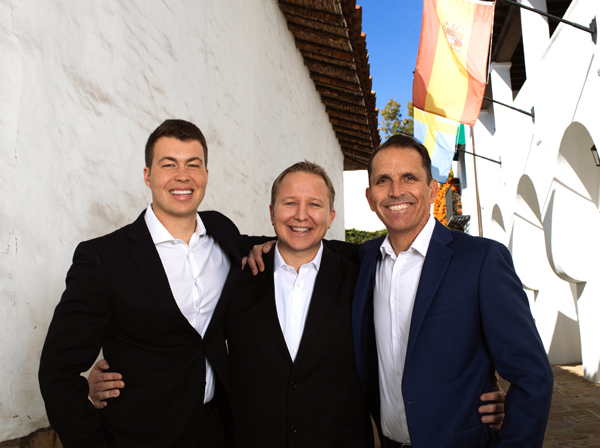 It is no wonder, so many are looking for homes for sale in Montecito. Fashionable, yet somewhat under the radar, Montecito has a distinctive feel, fantastic Mediterranean like climate and gorgeous setting that draws comparisons with the Italy’s Tuscany region. Montecito is about eight square miles in size and divided into two parts, the Upper and Lower villages. The area is bounded by Hot Springs Road to the west, the ocean to the south, Ortega Ridge (east) and just past East Valley Road to the north. Although some estates command prices in the twenty-million-dollar range, most sales reported on MLS in 2005-2017 spanned two to five million. Naturally, you will pay a premium for ocean view homes. The area north of East Valley Road, between Hot Springs Drive and Buena Vista in the east, is known by locals as the Golden Quadrangle. As the name implies, you will find some of the Montecito’s most desirable and pricey real estate here due to more generous lot sizes, isolation from the public and fantastic views. As you can imagine, Montecito has many special places for food and relaxation. The Stonehouse Restaurant at San Ysidro Ranch is a top favorite, especially on weekends when they have live music. Lucky’s Steakhouse has been keeping people happy, well fed and comfortable since 2000. The Honor Bar on Coast Village Road earns fine reviews on Yelp. Cava offers casual Mexican flair when you don’t want to get dressed up. Oliver’s is the newest addition to the hood and locals say the vegetarian-focused place is tasty. Other Places of note include Butterfly Beach, The Four Seasons Resort, and the private Coral Casino. 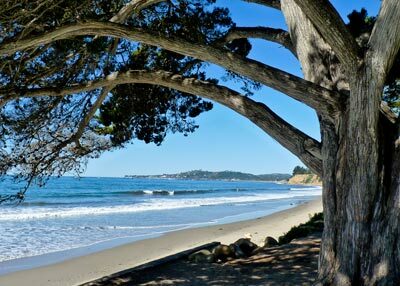 Below we have an up-to-date list of homes for sale in Montecito. If you would like more information about a property or would like to schedule a visit, please let us know. We will handle the details ensuring your privacy and comfort.